Vpark Box 30w. 1ct. Size: 22mm*41mm*55mm Battery Capacity: 5-30W Resistance Range: 0.3-3.0 ..
Yocan Evolve - Wax Vaporizer Pen. Color May Vary. 1ct. 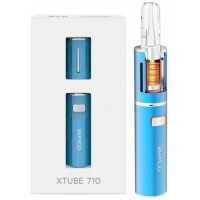 Includes: Evolve Atomizer Evolve B.. Crafty Herbal Vaporizer. 1ct. 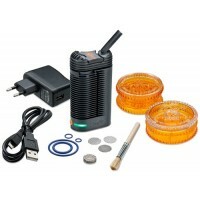 Made by Storz & Bickel, the new Crafty Vaporizer is sure to set..
G Box Low-Key Variable Voltage Stealth Battery. 1ct. Features: 1. Tap Button 5 Times Within..
Ipipe Wax 30w Vaporizer. 1ct. 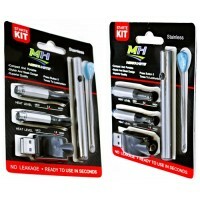 The IPIPE Vaping kit is a Dry herb/ Wax/ Oil vape device with one 3..
Kandy Pens Galaxy Vaporizer. 1ct. 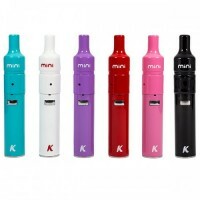 PRODUCT FEATUREs: Temperature Controlled Battery (350°, 3..
KandyPens Mini Vaporizer. 1ct. Product Features Variable Temperature Control (350°, 390.. Mighty Herbal Vaporizer. 1ct. The Mighty has arrived! Made by Storz and Bickel, the Mighty Vapori..
Nixon Kit - All In 1 Smoking Device. 1ct. All-in-one dry herb and oil device that delivers a new ..
Straight Glass Globe Phatomizer XL - Triple Ceramic. 1ct. ..
Straight Glass Globe Phatomizer XL - Triple Quartz. 1ct. .. 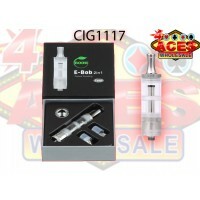 The Ebob 2 In 1 Tank. includes 2 replacement coils. 1ct. .. Triple Quartz Coil Wax Cannon Atomizer. 1ct. ..
VapMod Xtube Preheating Vape Kit. Cartridge Not Included. 1ct. 1 x 900mAh Battery 1 x Prehea..